Dubai – the most desired dream destination in the world which is a fusion between the ultra-luxurious lifestyle and Arabian historical monuments. It has a lot to offer, from riding hot balloons as shown in movies, skydiving, camel safaris in the deserts, to the state of the art malls and delicious cuisines from all over the world. 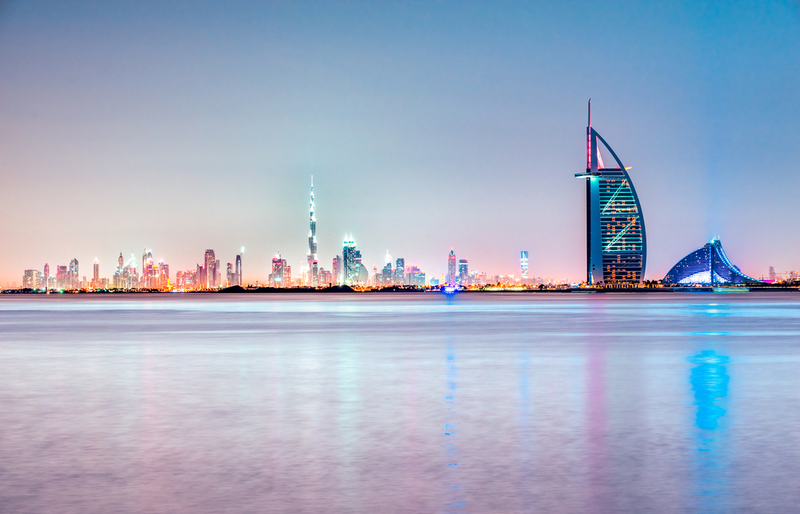 The best time to visit Dubai is between November and March, during the winter months as the weather is pleasant. You can also attend the Dubai Shopping Festival which is held in January-March for an eye-dazzling experience. As it is the peak time of tourism during those months, the hotel prices are very high, so you can book the hotels in advance to get a fair deal. You can get cheap tickets to Dubai for flights from Yatra and others anytime. Dubai is the busiest airport in whole UAE, so it is connected to more than 100 destinations worldwide; so, travelling by air is the best option. After reaching, you can explore the city with many commonly used public transports like bus, metros, taxis and water buses or you can hire any car of your choice and self-drive the city. Moreover, as you set out on a rocking trip, do remember to indulge in the following luxurious experiences without burning a hole in your pocket. Burj Khalifa: The tallest man-made building in the world standing at 828 meters displays an exceptional world-class architecture. Nothing can match the view of the city from the top of this majestic building. The breathtaking view of the Dubai nightlife and those skyscrapers make the perfect backdrop for photography enthusiasts. Palm Jumeirah: This man-made archipelago is one of the main interests in Dubai that you can indulge in. It is Dubai’s one of the uninhibited fantasies which perfectly shows how rich the country is in every aspect. From markets to luxurious hotels to theme parks to 6-way-lanes highway, it has it all. Aquarium and Underwater Zoo: The underwater zoo and aquarium will leave you speechless as it is one of its kind in this whole planet. You can also experience scuba diving and ride a boat on glass bottom, swim with the deadly sharks and explore the unexplored species of deep oceans. From otters to penguins to crocodiles to lionfish you won’t miss anything. You can also take back home some souvenirs from the stores in the aquarium. Dhow Dinner Cruise: The cruise drive will take you through the mystical Dubai Creek which will give you the chance to board beautiful memories with your loved ones and with a steaming cup of coffee while you watch the mystical sun setting on the horizon – things can’t be more perfect. Desert Safari: If you are an adventure lover, you won’t get bored in Dubai. Start the morning with rock climbing and water sports, and in the evening, you can enjoy the sunset along with the camel safari. You can also choose 4*4 SUV for more adrenaline rush and thrilling experiences like never before. Multicultural Cuisines: Dubai is the meat lovers’ paradise. With Iranian, Lebanese, and Arabic cuisines, the foodie inside you will crave for the luscious delicacies. Shawarma which is the signature dish of Dubai gives you an option to choose the meat from chicken, beef, turkey, and lamb and will make your stomach growl with hunger. Things to Pack: Don’t forget to pack your bathing suits, sunglasses and beach gears along with travel chargers and converters as in Dubai you will get 220 Volts and the plug types are C, D and G. And, when you make plans book cheap tickets to Dubai from Yatra and the likes. Underneath the glittering gold and beaming skyscrapers, Dubai is a country which also takes pride in its heritage and hospitality. Dubai will leave no stones unturned for your expectations. Don't hesitate to get in touch via our contact page for more information.